Science adventure game hits PlayStation in late June. 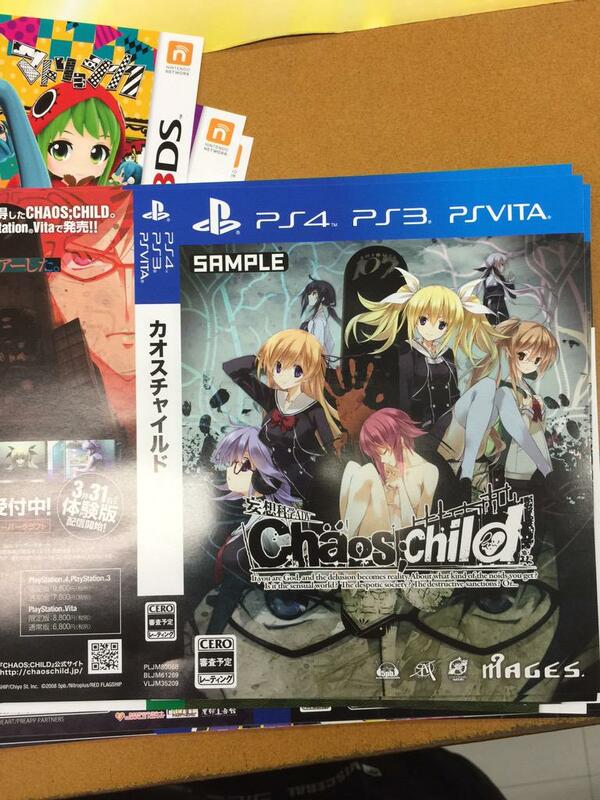 Chaos;Child, which launched for Xbox One in Japan last December, is coming to PlayStation 4, PlayStation 3, and PS Vita in Japan on June 25, a leaked promotional jacket reveals. The game will be available in 7,800 yen standard and 9,800 yen limited editions on PlayStation 4 and PlayStation 3, and on PS Vita for 6,800 yen and 8,800 yen. A demo will launch via PlayStation Network on March 31. Update: Find the official announcement here.